KIEV, Ukraine -- Ukraine has launched an electronic register naming fathers who fail to pay child support, allowing women to check a man’s credentials before entering a relationship with him, Justice Minister Pavlo Petrenko said on Tuesday. The register has 75,000 names on it and they are not allowed to travel abroad if they do not pay for more than six months. Traffic police who stop a driver on the register can impound the vehicle until child support is paid. The minister spoke only about men on the register but a check of the register showed a few women were also on the list. Petrenko dubbed the register a “Wall of Shame” and said the measure would shame men into paying child support while helping women weed out unsuitable partners. Petrenko told reporters. “I also appeal to potential business partners. If he doesn’t pay alimony then how reliable a partner in business would he be?” he said. An official at Ukraine’s human rights ombudsman said Ukraine had looked at practices in the United States where forcing parents to pay child support is handled by state and local authorities. Arizona, for example, publishes the name, photograph and the amount owed by parents who fail to pay. Women still face constraints in Ukrainian society, according to the United Nations. Participation in decision-making remains low while domestic and sexual violence against women and girls remain a pressing issue. According to the new policy, unemployed people will be offered community work for up to two months such as cleaning streets or painting houses with earnings going toward child support. 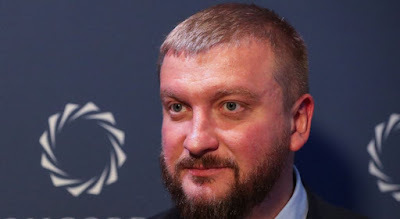 “If a person is capable, he has two hands, two legs and he is not disabled, then there is no reason for him not to pay alimony,” Petrenko said. Oleh Lyashko, head of the Radical Party, told reporters in parliament that lawmakers who do not pay child support should incur the additional punishment of being dismissed. “A woman should be loved, she gave you a part of her life, she supported you, you were with her when she was beautiful, and when she grew older, you left her,” Lyashko said.